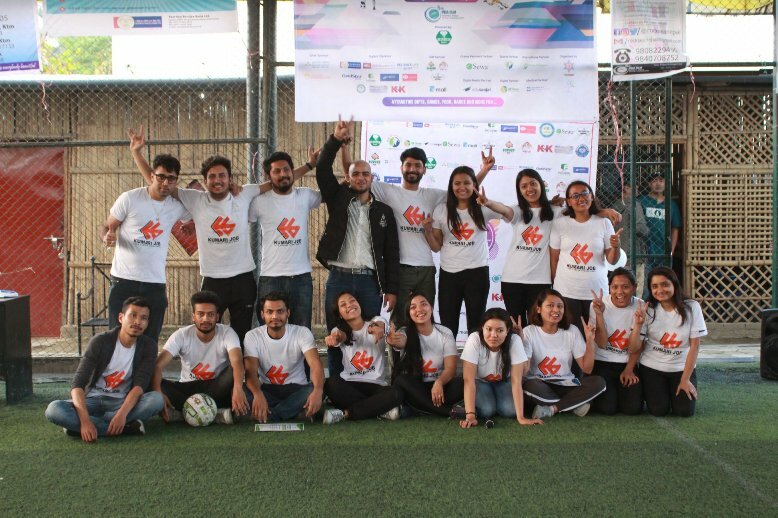 The 5th edition of MBA GLM Running Shield Futsal Tournament that started on April 7, 2019, was completed on April 12, 2019. The event took place at SS Krinagar Futsal Ground. It is an annual event organized by the students of MBA GLM, School of Management, Tribhuvan University (SOMTU). The semi-final and final matches took place on April 12, 2019, after which the award ceremony took place. 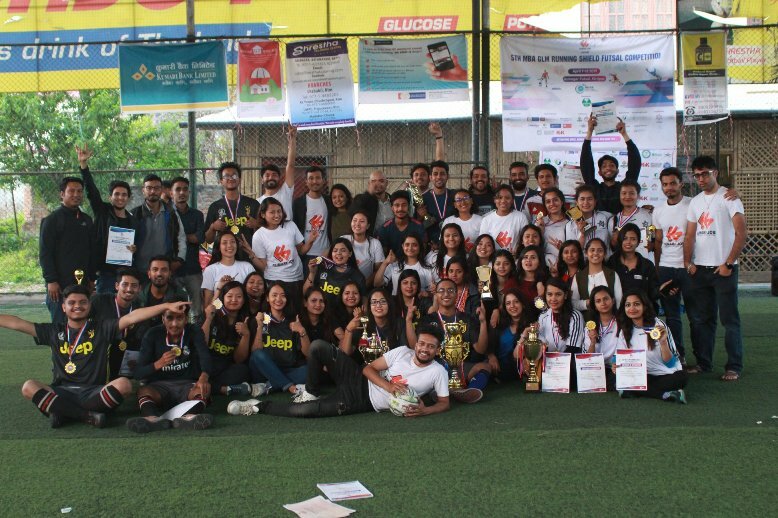 The teams competing for the finals were: MBA GLM 6th batch and MBA 13th batch in boys team and, MBA 13th batch and MBA 15th batch-Synergy in girls team. The finals matches were a neck to neck competition. In the boys group, MBA 13th won with 4-3 goals with MBA GLM 6th batch. 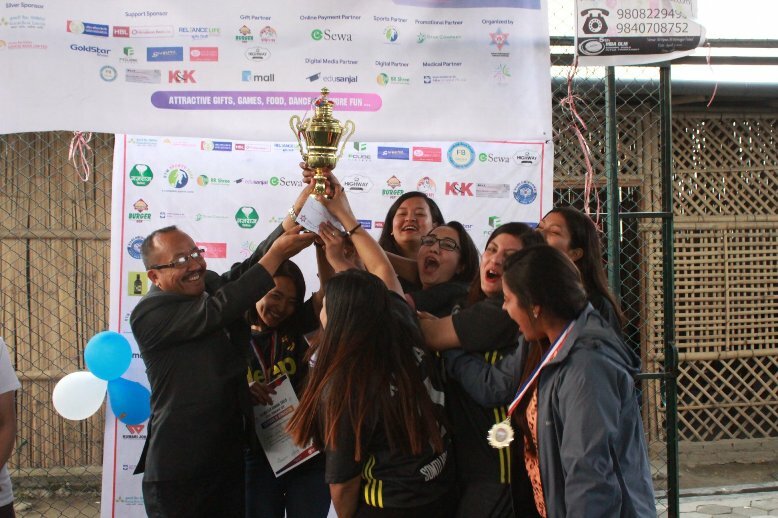 In girls team, MBA 15th batch-Synergy won with 1-0 goals with MBA 13th batch. The best players of the match were Nehariak Doeja from MBA 15th batch-Synergy (girls) and Pramit Sapkota from MBA 13th batch (boys). The MVP award was awarded to Pramit Sapkota from MBA 13th batch (boys) and Priya Jayasawal from MBA 15th batch-Synergy (girls). 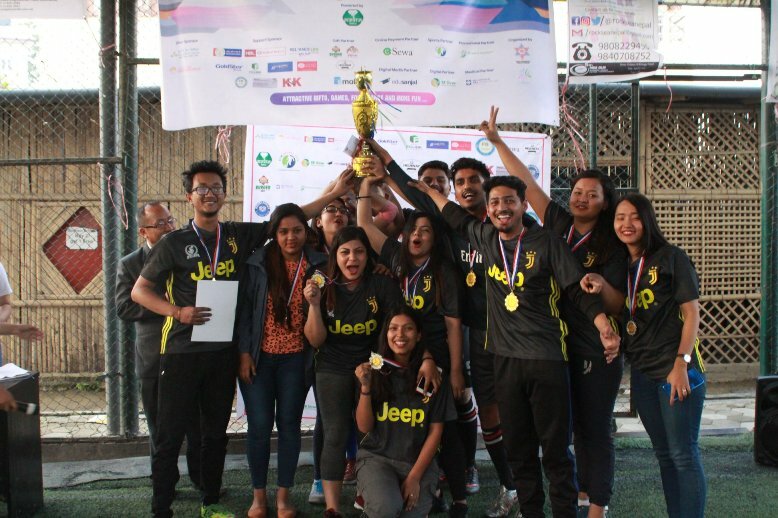 The best keepers were Shrijana Tripathi from MBA 15th batch-Synergy (girls) and Prabal Lamichhane from MBA 13th batch (boys). The highest scorers were Priya Jasawala from MBA 15th batch-Synergy (girls) and Sujan Khatri from MBA GLM 6th batch. The awards ceremony was chaired by Dr. Govinda Tamang, Deputy Director of School of Management. The awards were distributed by Dr. Govinda Tamang, Mr. Suresh Ratna Bajracharya from Reliance Life Insurance and Mr. Kalip Bohara from Emall. 5th MBA GLM Running Shield Futsal Tournament has been presented by Kumari Jobs and powered by Samrat Cement. There were 22 teams participating out of which 13 were boys team and remaining 10 were girls team.